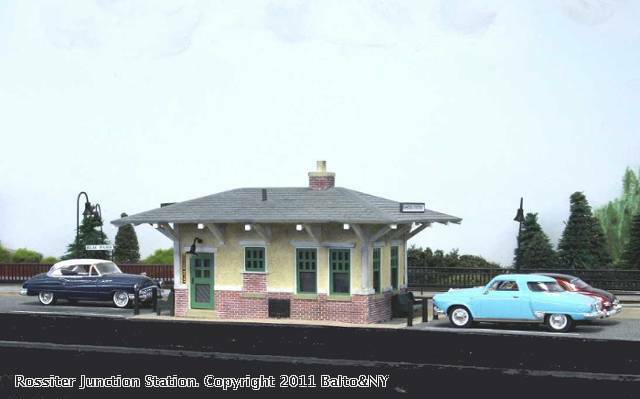 A Plasticville depot got a new life when modified to become this small, suburban stop on the Baltimore & New York. The bottoms of the four sides were cut away and added to their tops. Strip styrene was used to make the rafters. Plastic brick siding was added and one window on the street side was shortened for a 'restroom.' A few extra details like a Majestic coal chute door on this side and a cellar door in the walk on the right side hint at a coal burning furnace for heat. Some paint and weathering finished the job.